. 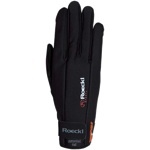 : Roeckl Glove Review :: Ski XCOttawa.ca :: Skiing in Ottawa and Gatineau Park :. This race season some members of the XC Ottawa Team were given the opportunity to test out some new Roeckl ski gloves. Roeckl gloves were mostly unheard of on the team until now. So far, we are quite impressed with this German engineered glove product. Roeckl gloves definitely have an interesting history dating way back to 1839 where the founder of Germany’s most successful glove company, Jakob Roeckl, started his life as a “glove artist” to make fine leather hand crafted gloves. Princes and noblemen alike wore Roeckl gloves, even King Ludwig II. 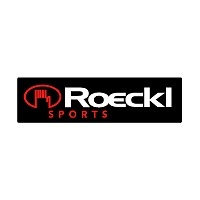 Later, they became more popular as an equestrian glove used by Germans and now, Rocekl Sports gloves have been patented for cross country skiers by Stefan Roeckl. 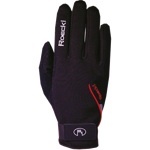 Right now Roeckl ski gloves have been growing in popularity with numerous new developments and exclusive materials. The German National Biathlon Team have been using them as well as many world class cyclists and other World Cup XC skiers. With exclusive Roeckl features such as, "Roeck-Grip" (high anti-slip material), "patented cut" (anatomic cut for optimal fit), Roeck-Tex (extreme hard-wearing), "Comfort Innovation", I am highly impressed with the German ingenuity and engineering of the Roeckl Glove. After testing these gloves for almost a month, we have come up with the following review. Two different women’s model gloves were tested. Megan had the lighter weight racing glove while Sheila tried out one of the warmest racing gloves they have. Megan’s Magdalena gloves were super soft and comfy as well as stylish with the silver thread. She thought they felt really nice to wear and was impressed by their warmth for how thick they were. Mostly she was happy to finally find a stylish feminine glove for skiing! Sheila was taken by surprise with her gloves. She said, “They look great - more elegant and sleeker looking than most cross-country ski gloves.” An optimal feature that she was pleased with was the Velcro wrist fastening that is well positioned for a snug wrist fit and that doesn't get in the way of pole straps. She liked the cozy fleece lining and the fact that the glove didn’t feel or fit bulky. Sheila has pretty much given up on wearing ski gloves and mostly wears mittens instead. The new Roeckl gloves allowed her not to switch to mittens until around -5 and colder, but she insisted that they would be a great cold-weather glove for people who would normally wear gloves skiing. Justin and I tested the lightweight men’s racing glove. Justin said, “The fit was excellent and precise. The gloves are really grippy all around and unlike plastic covered leather it doesn’t seem like the grip will wear off eventually.” Justin also like how they were so thin but yet remain warm because of it’s completely covered windproof material. I thought the glove was very unique, unlike anything I have tried before and similar to a mechanic's glove. I was mostly impressed with the excellent dexterity, the natural feel of the glove while gripping the ski pole and lastly the stealthy appearance of the glove. We both agreed that they would be good to about -5 for training and probably to about -10 for racing but I do think we are regular glove wearers at those temps. One thing noted was that they are best for continuous training session as they cool down a little when not active. Justin was also pleased with awesome dexterity and workability, which makes it worthwhile having this glove around the race site for waxing etc. And if nothing else these gloves seem like they will go the distance and last quite a long time with high quality materials and great workmanship. Karl was extremely impressed from a weight/warmth perspective; "thanks to the use of Windstopper material they remain light and thin but ensure comfortable warmth". Karl also mentioned, “The elastic strap which wraps all the way around the glove gives a very secure feeling. They are very well constructed in terms of how the seams are which again makes them very comfortable to wear skiing. I recently found out that Craig Storey has been using these gloves for 6-8 years. The amazing thing is he is still using his first two pairs he ever bought. That's impressive. He has been wearing the same glove as Justin and myself as well as another non-leather heavier weight glove. He also commented on how warm they were for their weight and fit, and the very good stitching and material quality that is so durable. Craig states, "They have been the best gloves I ever used by far, and after thousands hours of skiing day after day for all those years they barely show any wear at all." Craig's favorite were the light weight racing glove mainly because they stayed grippy when your hands were wet from sweat or rain. He also mentioned that he raced the coldest years of the Keskinada (-29) with only this light weight racing glove and his hands were the only thing that stayed warm through the whole race! So I know it is hard to give up on your favorite glove but I think the Roeckl Ski glove definitely deserves a shot by any level of skier! XC News: BRUCE TRAIL, END-TO-END!!! Athlete Diary: Don't collapse on your poles!